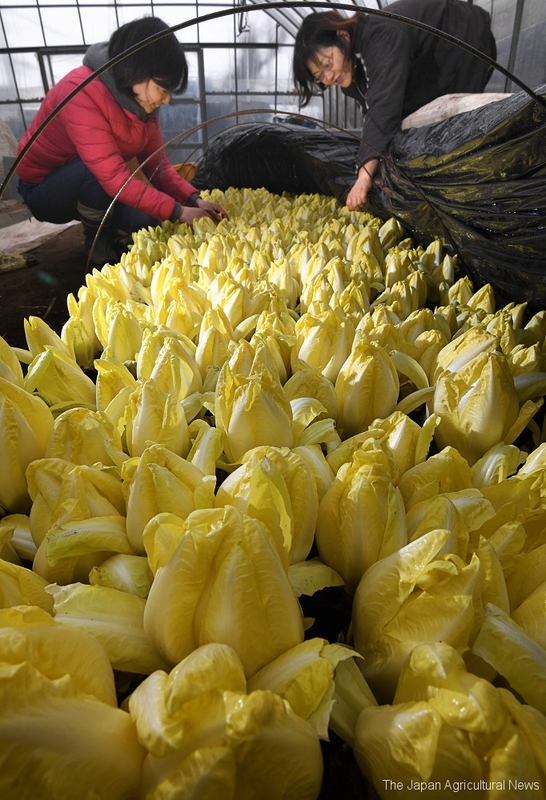 Growers in Saitama city are harvesting chicory leaves in early mornings or evenings to avoid daylight. SAITAMA, Feb. 18 ― Japanese growers are harvesting chicory leaves in Saitama, one of the country’s main suppliers of the western vegetable for more than three decades. The chicory heads have fully grown out of the root and are now ready to be packaged. All this is done in early mornings or evenings to avoid daylight in order to maintain the white color of delicate leaves.